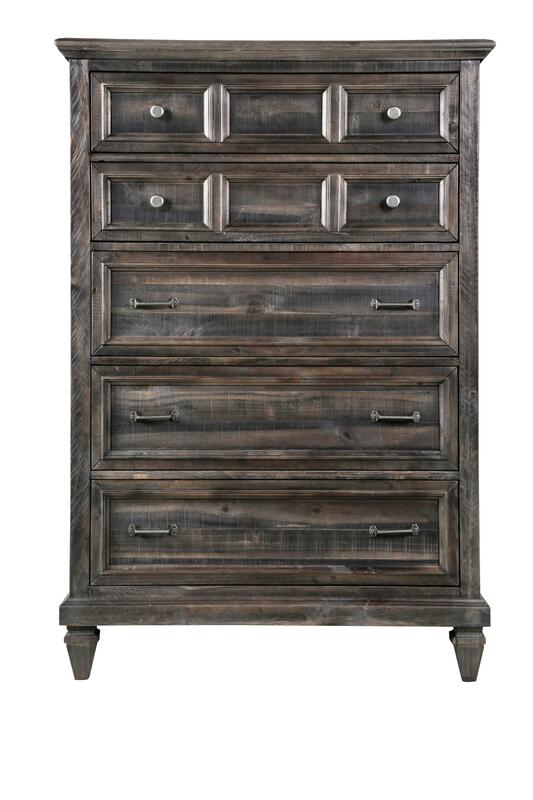 This dynamic and stately drawer chest gives you plenty of storage options. 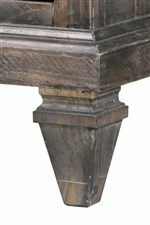 Five drawers are complete with English and French dovetail joinery, and they also feature side mount ball-bearing metal guides for easy usage. A felt-lined top drawer and other dust proofed drawers let you safely store items. 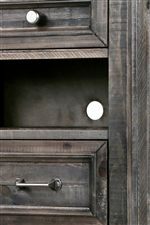 Brushed pewter knobs and drawer pulls complement the chest's wheathered charcoal finish. 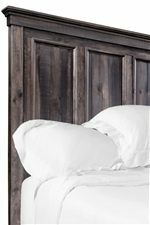 The Calistoga 5-Drawer Chest with Felt-Lined Top Drawer by Magnussen Home at Miskelly Furniture in the Jackson, Pearl, Madison, Ridgeland, Flowood Mississippi area. Product availability may vary. Contact us for the most current availability on this product.